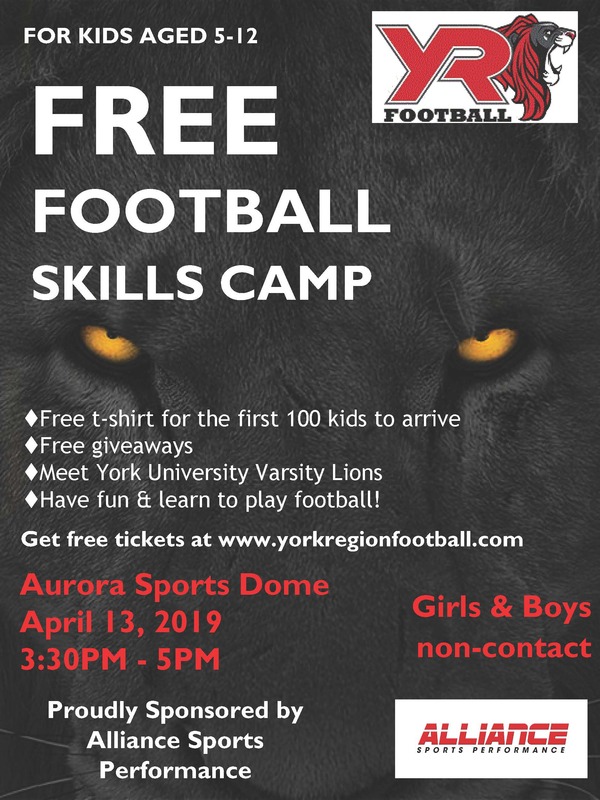 Join us for our Third Annual community Football Skills Camp - powered by York University. Join us on the field for fun, football drills and giveaways! Tickets are free, but pre-registration is required. Special draw for a Lions Swag Bag for those that bring a friend.